The groundcover Pachysandra terminalis might be the most common groundcover planted around boxwood. It is attractive, hardy, and tolerant to many of the most challenging landscape conditions: shade, drought, pest, and even deer. Unfortunately, Pachysandra has one fatal flaw: as a member of the boxwood family itself, it readily carries the boxwood blight fungus in its tissue. Worse, the fungus doesn’t kill the plant. And as long as Pachysandra is present in a contaminated site, all boxwood are in danger. What’s The Big Deal About Boxwood Blight? In addition, we also recommend proactively and immediately removing all Pachysandra terminalis plantings in the vicinity of boxwood. Pachysandra Is No Longer An Option—So Now What? While it’s always a tough decision to remove healthy, beautiful plants, in the case of boxwood blight we feel the risk is too great to ignore. 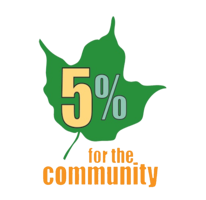 Consequently, it is important that the green industry immediately begin using alternatives. Geranium ‘Biokovo’: The leaves of this low-maintenance, weed-suppressing groundcover exude a wonderful scent when brushed. They turn a beautiful shade of red in fall, persisting on the plant well into the winter. In summer, the plant produces a beautiful heavy bloom of pink-centered white flowers in June. Growing 4-6” tall, this cultivar spreads readily without becoming invasive. It grows well in most soil types and prefers full sun to light shade. Carex ‘Hobb’ and relatives: ‘Hobb’ is a part-sun to shade-loving evergreen sedge forming 12” high, rounded clumps of wide, waxy ice blue leaves that complement boxwood beautifully all year long. Needing very little in the way of maintenance, Carex is tolerant of wet sites as well as average or even moderately dry soil. Many Carex are native to eastern North America and all are virtually disease and insect free. Veronica ‘Georgia Blue’: Those looking for a unique dash of color in the landscape can’t go wrong with this long-blooming cultivar. 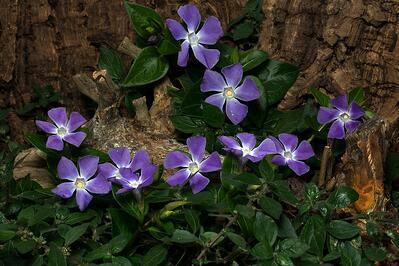 It sports delicate, white-eyed flowers in a clear, true blue, which is rare in a flower. Maxing out at 8” tall and often growing lower, it is an ideal low groundcover for full sun areas. And because it is tolerant of poor soil and excessive heat, it can be an excellent choice for planting near parking lots and on former construction sites. Liriope muscari: An industry favorite for good reason, this Asian groundcover will not become invasive like its close relative Liriope spicata. Drought and deer resistant, this plant can tolerate a wide range of soil and light conditions. Liriope muscari forms 18” tall clumps of narrow, glossy grass-like leaves. Spikes of delicate, lavender flowers appear in late summer, giving way to shiny, round black berries that often persist on the plant into winter. Striped cultivars are also available. Vinca minor: Another classic and popular groundcover selection, this creeping evergreen plant features beautiful lavender-blue flowers in spring, sometimes offering a smaller repeat performance later in the summer. They are very shade tolerant, drought tolerant when mature, and quite pest-resistant—even deer and rabbits don’t care for them. Just one caveat: they are best planted in controlled locations, because they can spread and naturalize quite aggressively. 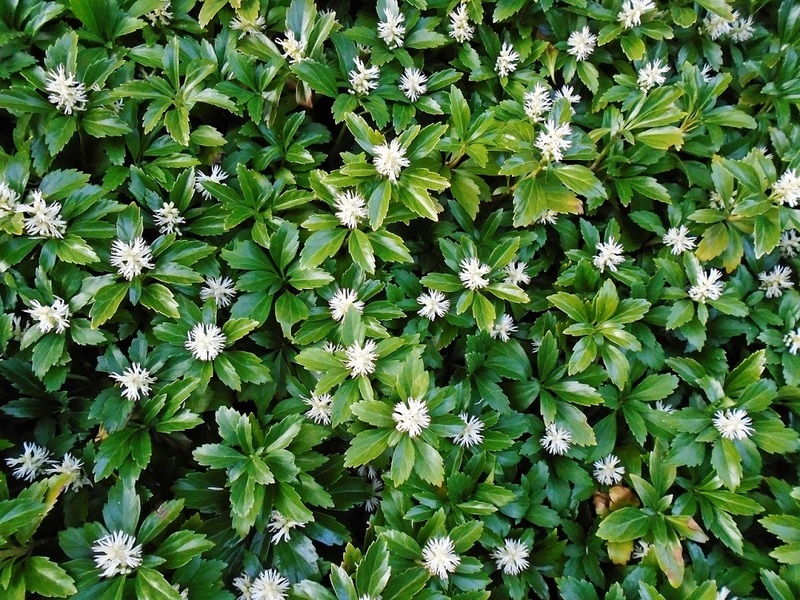 These plants are some of the best of a long list of pachysandra alternatives that will provide an excellent groundcover companion to your boxwood plantings without endangering them. Each shares some characteristics with Pachysandra, but each also brings improvements, such as beautiful seasonal flowers or decorative foliage. Got Boxwood? Talk To Us About Blight-Free Groundcover Alternatives. While the choice to replace your Pachysandra is up to you, we highly recommend doing so. A properly sited boxwood plant will typically live over 100 years if not affected by blight. Switching to an alternate, blight-free groundcover is a small price to pay to protect your landscape investment. For recommendations on the best Pachysandra alternatives for your commercial property, call us at 859-254-0762 or contact us here today.